EV SSL 123 » When will most Windows XP users have updated root stores? Over 90,000 domains in 145 countries display the VeriSign seal. EV Upgrader has helped quickly update root stores for Windows XP IE7 users worldwide. 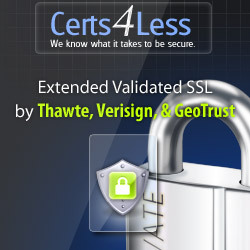 VeriSign recommends that you install the VeriSign seal on your home page to ensure a prompt update and the display of the green address bar on transactional pages of Windows XP users.